Operations research utilizes a variety of mathematical modeling techniques to improve workflows, procedures and operations within organizations or programs, and to guide planning and management decisions. Among countless applications, network models have been used to study epidemics of infectious disease. Network modeling and operations research are often applied independently to questions related to the HIV epidemic. However, the intersection of these fields is an emerging area of research. 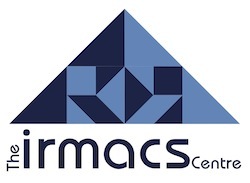 This workshop, hosted by the IMAPCT-HIV group at the IRMACS Centre at Simon Fraser University, explored approaches combining network modeling and operations research to applications in HIV epidemiology – particularly to the ongoing Treatment as Prevention (TasP) effort. The workshop preceded the 4th International Treatment as Prevention Workshop in Vancouver (http://www.treatmentaspreventionworkshop.org). The program included presentations by leading scientists, including Dr. Steve Bellan (University of Texas at Austin), Dr. Margaret Brandeau (Stanford University), Dr. Salal Humair (Harvard University), Dr. Babak Pourbohloul (UBC and BCCDC) and Dr. Brian Williams (SACEMA, UNAIDS and WHO). During an oral poster session, current research on applications using operations research and network modelling were presented. Dr. Lukas Ahrenberg, author of the NepidemiX software package was the instructor at the all-day tutorial session, which demonstrated the use of NepidemiX in constructing networks models for an operations research application. The workshop program, including the schedule, speaker bios, presentation and poster abstracts can be downloaded here. Links to recordings of the oral presentations on March 29, 2014 will be posted here shortly. Below is the list of posters presented at the workshop. You can find the latest release of NepidemiX course materials here. This material was originally written for a tutorial at the Mathematics and HIV 2014 workshop. It is somewhat specific to the hands-on tutorial in NepidemiX held at that time, but may still prove instructive. You can find pdf files of the slides and handouts in the materials directory. There you may also find the LaTeX/beamer sources and image used. The files are the same save for slight edits (removing sponsor logos from the slides [due to potential sharing issues for these] and references/login information to the local computer systems from the handout material). The tutorial_files directory contains the NepidemiX input files, and data. (As well as the NepidemiX input files used to generate the source network which was not handed out during the tutorial). Neither the scripts nor the tex files are very well commented. If you have any questions, please contact ahrenberg@irmacs.sfu.ca for more information. These files are distributed under a Creative Commons Attribution-Share Alike 4.0 license (http://creativecommons.org/licenses/by-sa/4.0/). Please attribute Lukas Ahrenberg /lukas.ahrenberg.se if you use or adapt them. Some of the image files have other CC licenses and should be attributed to their respective authors. Please see figures/README_attribution.txt for more information.